Welcome to the third installment of the teaching practice tips series! This post deals with teaching art. Another subject which could easily go wrong in front of an inspector without some good solid STRUCTURE. Art should always link with your theme. There is no excuse really. Often times some subjects do not link to your theme and it is better not to force integration, but art is one of the easier subjects to integrate! Assess prior knowledge- talk about the subject- what do we know about it? What does it remind us of? What colours are used? Are they primary colours? Use a variety of open and closed questions. Give the children their jobs, child A may give out scissors , child B may give out the glue. Involve the children during all aspects of the lesson. Show the children the art supplies they will be using. Introduce the new vocabulary. Remember to use the ‘official’ art words from the curriculum e.g. line, texture, contrast etc. Focus on maybe three words per lesson. Start the main body of the lesson. If you have a senior class maybe show a power-point of the artist you may be studying, or a short video clip. Look through and discuss samples of the artist’s work on the board. 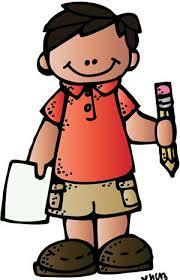 When the children begin their art, circulate the room and talk to the children about their art. Ask them why they chose to use a tool or colour they have chosen. Ask them what else they could use in their art work. Circulate all tables- try your best to get to every child. Remember the art lesson shouldn’t be too boisterous. Yes it is slightly more relaxed but you still must show that you have classroom management skills and you must demonstrate these throughout the lesson. Encourage any talking to be strictly about the subject in question. Tidy up: pick a number of children to help collect the materials. Everyone else must sit quietly in their seats. Once all the materials are collected and the tables are tidy, you can start the cognitive conclusion. Here I would encourage using an ‘artist’s chair’. One child sits in the chair at a time and show and talk about their work. I would suggest setting a timer of maybe three minutes. Then allow for three questions at the end for each child to encourage questioning and critical thinking.